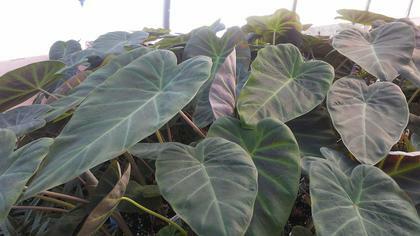 Striking purple leaves with chartreuse veins reach 3-5 ft. in one season on this gorgeous tropical. All that's needed is protection from wind, 4-6 hours of gentle sun, even moisture and STAND BACK. It will grow over your head before you turn around. Bulbs can be overwintered indoors for planting in summer.